Available in-store only. Give us a call at 802-658-3313 or swing in! Rentals are first come, first serve. 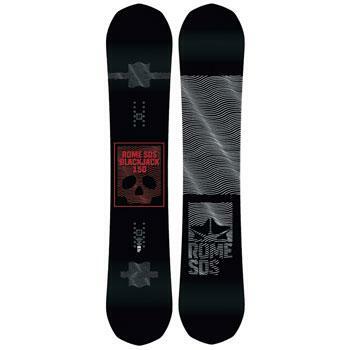 Place your bets and get ready to double down on freestyle-infused all-mountain dominance of the Rome BlackJack Snowboard. This flat cambered ATV is equal parts park pressable fun and grippy edge hold. Our Contact Camber balances flexibility and response, while our HotRods give it extra pop. An appetite for groomers, trees and park laps, the Blackjack is playing for keeps and it’s all in.